With a persistent curiosity and a desire to connect with her Italian heritage, Bella Santosusso’s goal was to study abroad in Italy at least once during her undergraduate career. Though she has yet to study in the country of her ancestors, Santosusso’s participation with the STAR Research and Undergraduate Research Fellowship programs allowed her to explore opportunities throughout Europe. Though Santosusso didn’t have a specific interest in academic research, her high school English teacher encouraged her to apply for the Undergraduate Research Fellowship program while she was applying to Drexel. The 150 hours of research required for the position seemed like a lot to handle when Santosusso first entered the program, but as she progressed she quickly found that not only was the work manageable, it was interesting. Whether she was researching the effectiveness of business intelligence dashboards or the value of 24-hour cities, Santosusso found that the beauty of research was that it always kept her engaged. 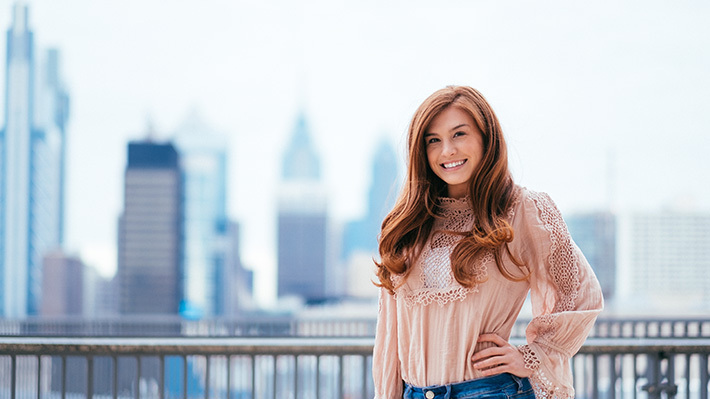 “It’s really neat how you can start with an idea and once you start researching it, it can take you to a whole new world,” says the Drexel cheerleader. The research has taken Santosusso to some interesting destinations as well. Her experiences in STAR and the Global Learning Community lead her to the Global Leadership Conference in London her freshman year as part of participation in a global classroom. “It was great to be able to meet the students we had worked with and travel at the same time. It was an incredible experience,” she says. But the trip to Germany is not the end of Santosusso’s travel plans. This summer, Santosusso will be participating in a six-month co-op in Crete, Greece. “It’s so different and so new. I was hoping to study abroad and I wanted to go to Italy but this is definitely the next best thing. It’s Greece! It’s going to be awesome. It was oddly so perfect with what I’m looking to study,” says the aspiring lawyer. Santosusso is set to begin her co-op in Greece in April as part of the Cretan Vidalakis Scholars Program where she will be researching maritime law.